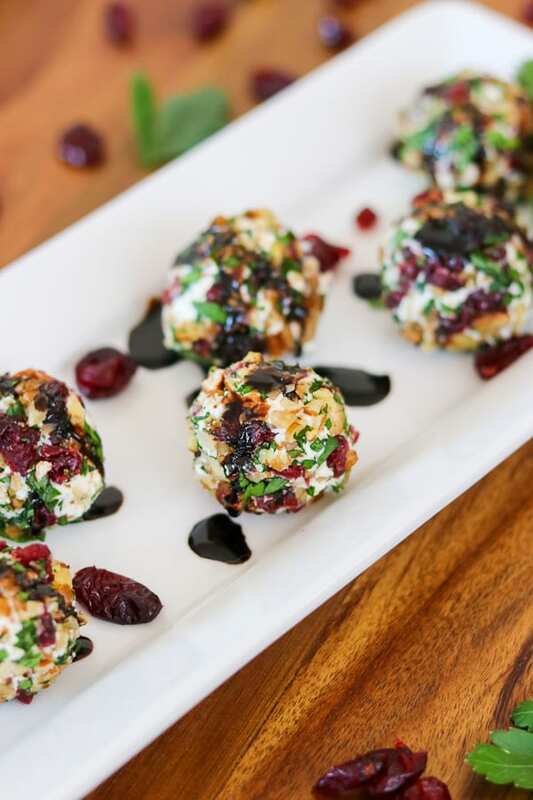 These Cranberry Pecan Goat Cheese Bites are the perfect slightly sweet, yet savory appetizer. We enjoyed them on one of our excursions during our Alaska cruise with Princess Cruises. They’re delicious all year long, but I’m really looking forward to serving them over the holidays! 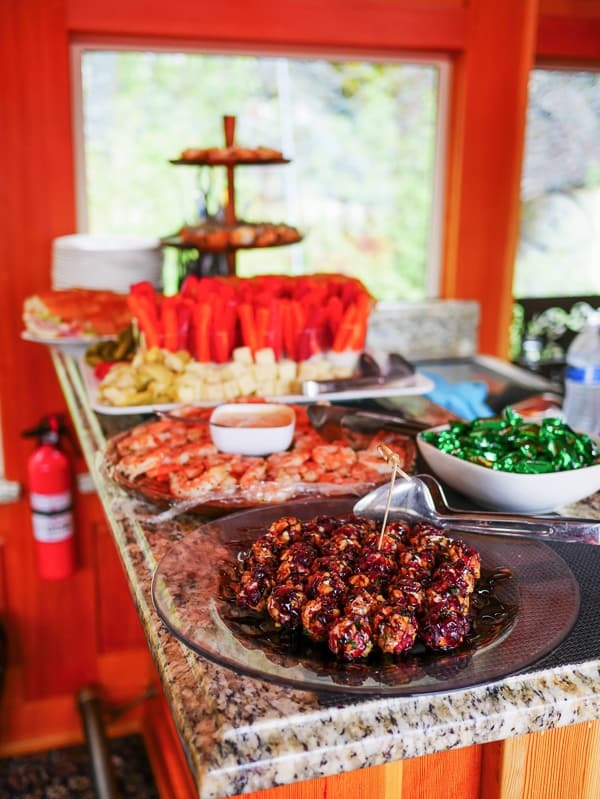 When it comes to parties or Game Days I don’t think you can have enough finger food on hand. 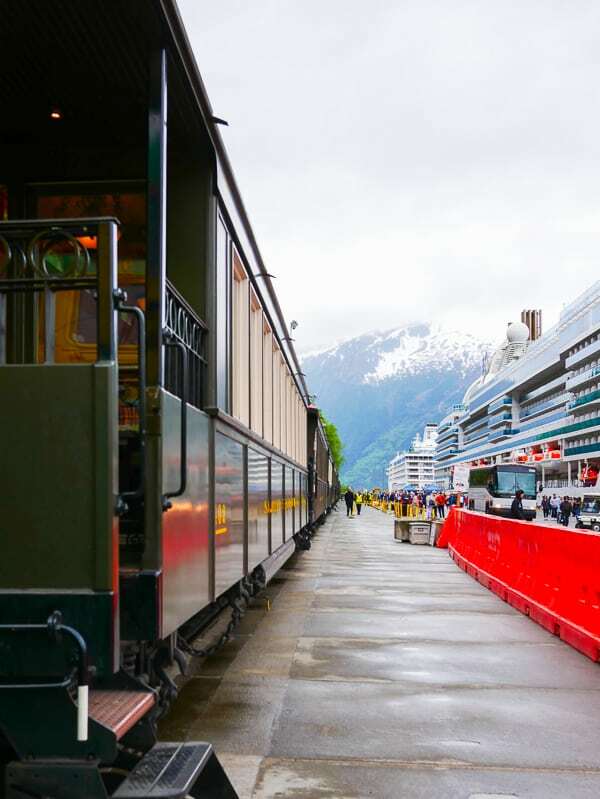 I have been sponsored by Princess Cruises to bring you this post about an Alaska cruise excursion, the fourth in a series sharing our Alaska cruise. As always, all opinions are 100% my own. **This post contains an affiliate link(s). 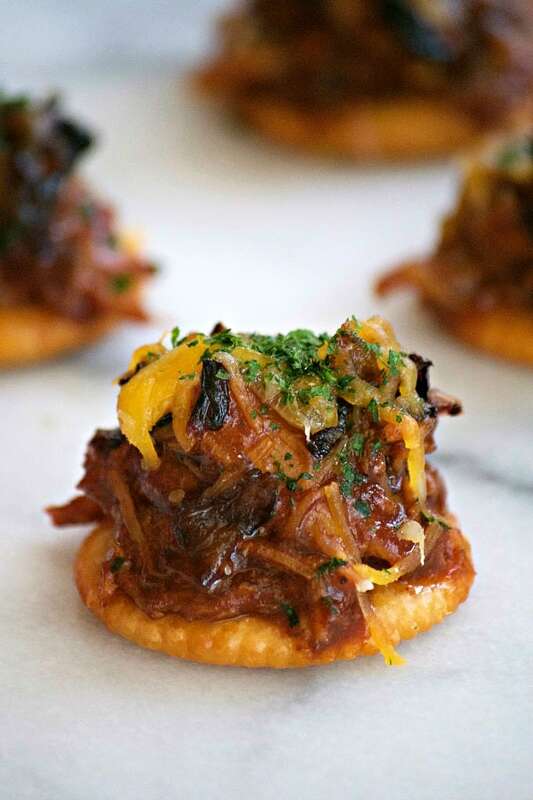 Personally, I love having a bunch of appetizers on hand to pick at as opposed to larger dishes. I mean those are great, too, but I just like to have more little things on my plate than a larger serving of the main dish. 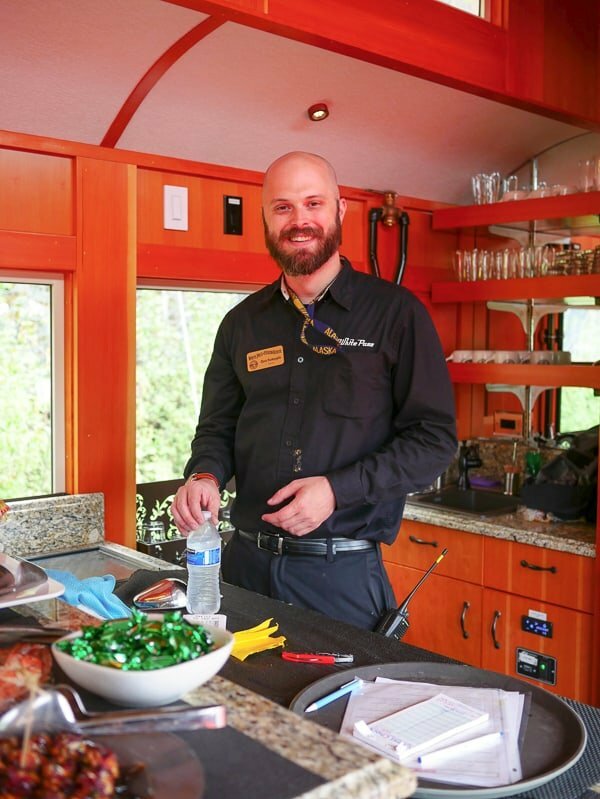 I discovered these Cranberry Pecan Goat Cheese Bites during our White Pass Scenic Railway tour during our Alaska cruise with Princess Cruises in May. 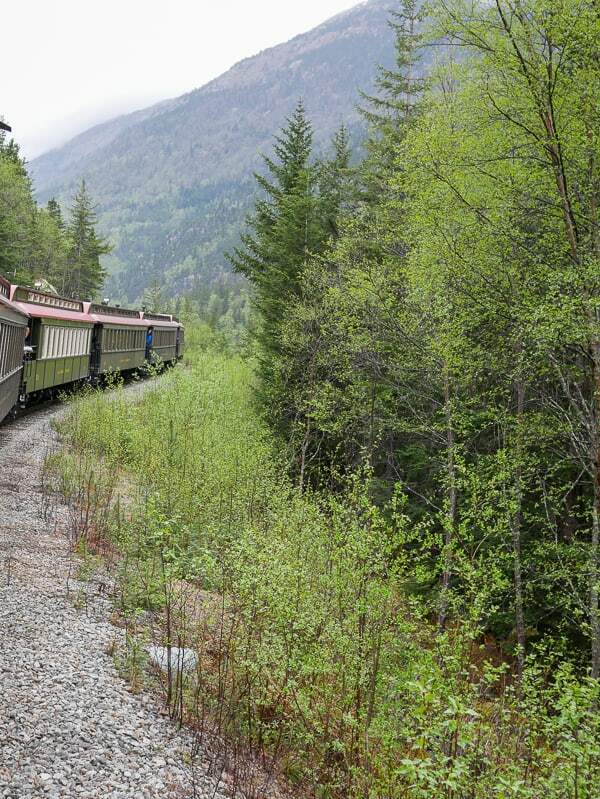 The train travels 20 miles from the dock to the Summit of the White Pass, an elevation of 2,865 feet! We saw Bridal Veil Falls, Inspiration Point, and Dead Horse Gulch. 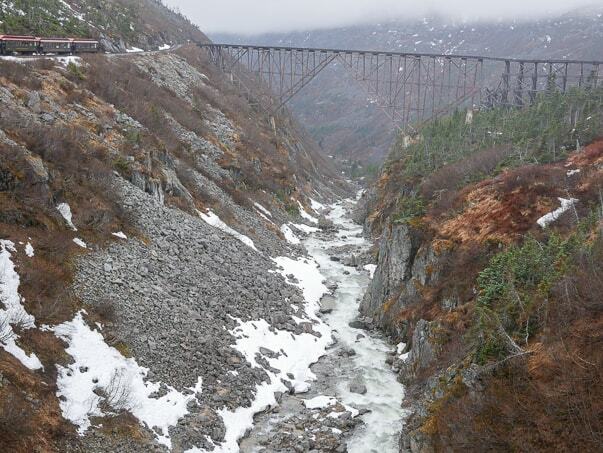 We also saw part of the original Klondike Trail of 1898. There were even some pickaxes on the trail, too. But back to those goat cheese balls! LOL I really think I ate at least 5. As soon as I tasted them, I knew I had to share the recipe with you. I don’t have the actual recipe as the food we enjoyed during our train ride was catered by a local restaurant in Skagway, Alaska called the Red Onion. It was quite a delicious spread. As you can tell, we did not go hungry during our 3 1/2 hour train ride. There was a submarine sandwich way in the back on the left-hand side of the picture, a tray of crudites and assorted cheeses, a shrimp and dip platter, along with their goat cheese balls in the foreground, and then a bowl of mints. Also not pictures was a tray of phyllo cups filled with a mushroom pate. We were also served soda, wine, and beer by this lovely gentleman, Chris. 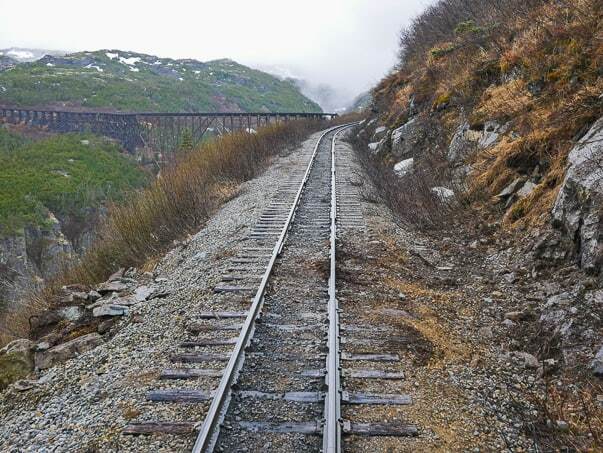 He was our host and guide and told us all that we needed to know about different spots along our route and interesting stories about the building of the railroad and life in Skagway during the gold rush of 1898. SAVE THESE CRANBERRY PECAN GOAT CHEESE BITES TO YOUR FAVORITE PINTEREST BOARD! 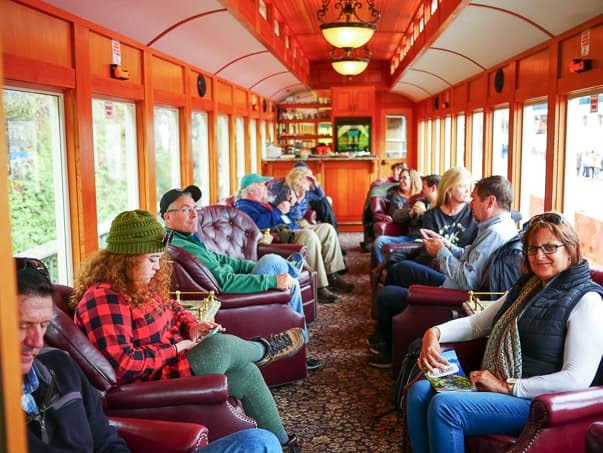 Our ride in the Luxury Class car on the White Pass Scenic Railway train was just one of our Alaska Cruise Excursions compliments of Princess Cruises. I have to say it was my second favorite after our Zodiac ride. 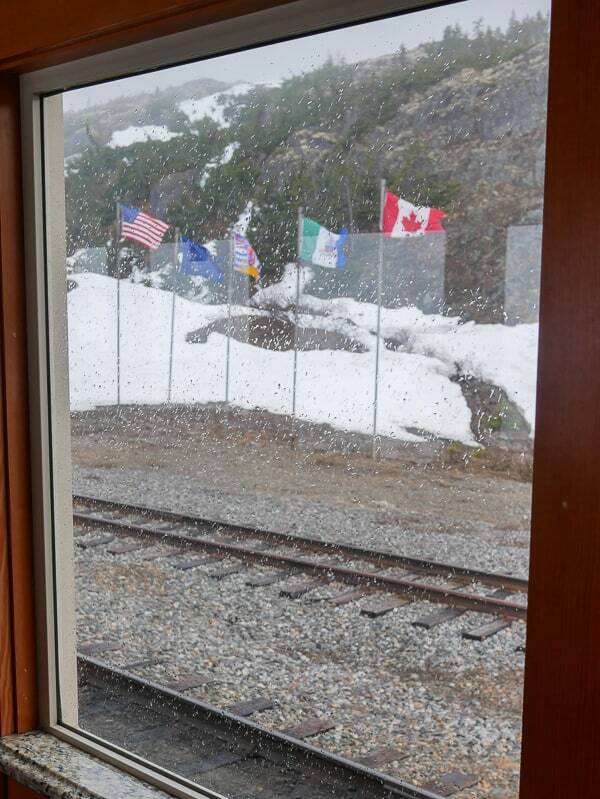 It was raining a bit the day we arrived in Skagway, so I was happy that we were going to be kept warm and dry but were still going to see more of that beautiful state. We didn’t have to walk far to get to the train either! It was literally just a hop, skip and a jump from our ship, the Island Princess. The Luxury Class car was the first car of the train. We were treated to a special surprise when at the very top of the mountain before we headed back down on the same track into town. I’ll tell you more about this below. Here’s the gang! There was a total of 14 of us and we were able to sit in these comfy chairs that swiveled so we could see out both sides without any problem. Talk about riding in style, hunh? 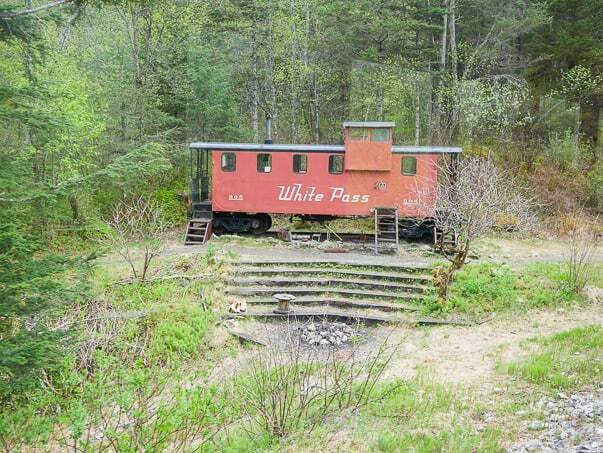 This was one of the original cars from the when the railroad was built for the 1898 gold rush. Looking at the rest of the train behind us while going up the mountain. Heading into one of the tunnels. You can see it in the mountain behind that pine tree. 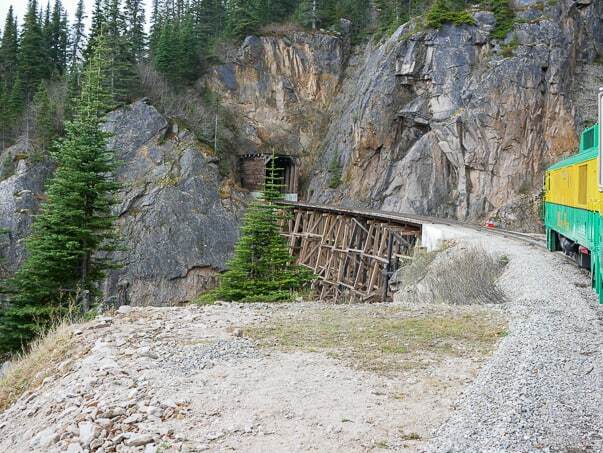 Before we went through the tunnel, I looked to my left and saw one of the original bridges which thankfully, is now abandoned as you can see some of it’s missing. Bring the goat cheese to room temperature. It makes it much easier to mix with the honey and pepper using a spatula. I used a small cookie scoop, like this one. It made it easy to get just the right amount of goat cheese instead of using two teaspoons. I used a mixture of dried cranberries, chopped pecans and parsley for both bites. I bought chopped pecans, but the pieces were too big and bulky I thought for the outside. It just didn’t look pretty. I liked the way this chopper made the pieces smaller and I think it looks much better as well. On our train ride, these goat cheese appetizers were drizzled with a balsamic reduction. I used this recipe from Rachel’s blog, Rachel Cooks. I halved the recipe, using only one cup of the balsamic vinegar and also added 1 1/2 teaspoons of honey. It was perfect! After you make them, I recommend refrigerating them for at least a half hour to an hour for the goat cheese to chill before serving. Personally, I just think they taste better cold as opposed to room temperature. It’s not like you won’t enjoy them if they’re warm, but I think slightly chilled is the way to go. They can be made the night before if you want to save time in your party prep, but the pecans will soften slightly. I prefer the crunch, but they’re still delicious regardless. Needless to say, I’ve fallen in love with goat cheese. It can be used in so many recipes and the taste is just like, wow! Becky at the Cookie Rookie made these Cheesy Mashed Potatoes with Goat Cheese and Bacon. I haven’t put it into my mashed potatoes yet, but I can’t wait to make these! 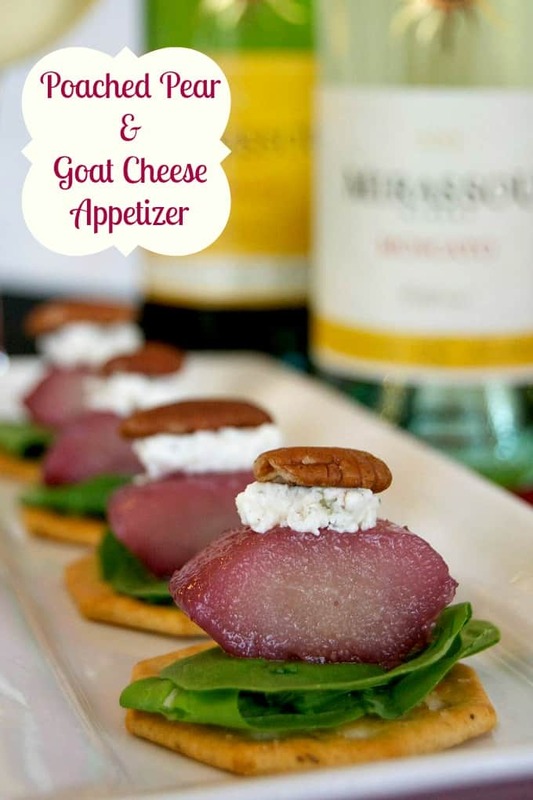 I love goat cheese because you can honestly enjoy it for any meal. Kalyn of Kalyn’s Kitchen made this Omelet with Mushrooms and Goat Cheese. I’m seriously drooling because I love goat cheese with eggs. Laura at A Beautiful Plate makes some of the most amazing food and this Spicy Red Pepper, Goat Cheese, Olive and Arugula Pizza is no exception! I think adding greens to an already delicious pizza always takes it to the next level. 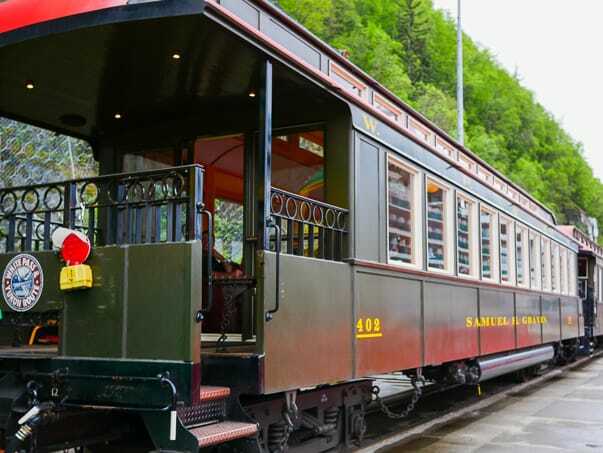 Take a look at a few more of our railroad trip pictures below the recipe and how the car we were riding in became the caboose at the top of the mountain! 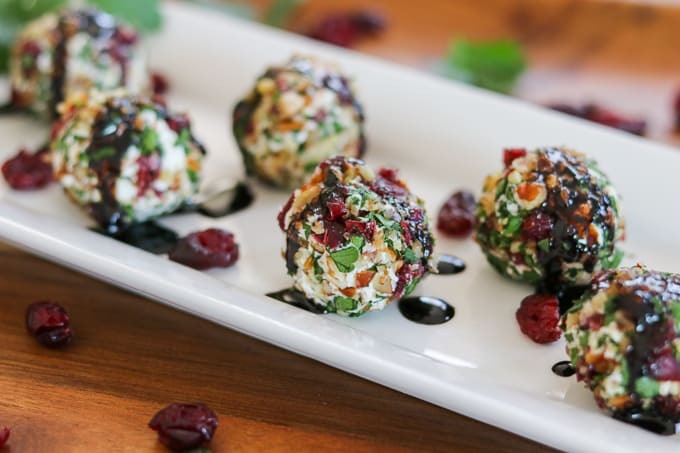 These Cranberry Pecan Goat Cheese Bites are a perfect appetizer- slightly sweet, yet savory. Delicious all year long, you'll be serving them at every event! In a medium bowl, combine the goat cheese, honey, and pepper. Mix with a rubber spatula until well combined. In another medium bowl, mix together the chopped pecans, dried cranberries, and chopped parsley. Using a small cookie scoop or teaspoon, roll two teaspoons of goat cheese into a ball. Press goat cheese into the nut mixture, coating both sides of the goat cheese as it flattens. Reroll the goat cheese into a ball and if needed roll in mixture again to coat more. Place on serving platter and if desired, drizzle with a balsamic reduction before serving. I used this Balsamic Reduction to drizzle over the goat cheese bites. I halved the recipe, using only 1 cup and added 1 1/2 teaspoons of honey as it simmered. 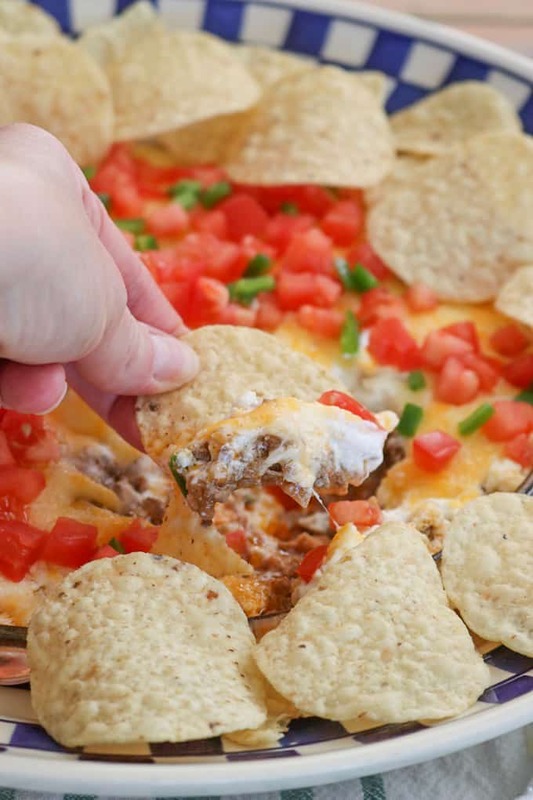 It added a delicious finishing touch, but can also be served without it. 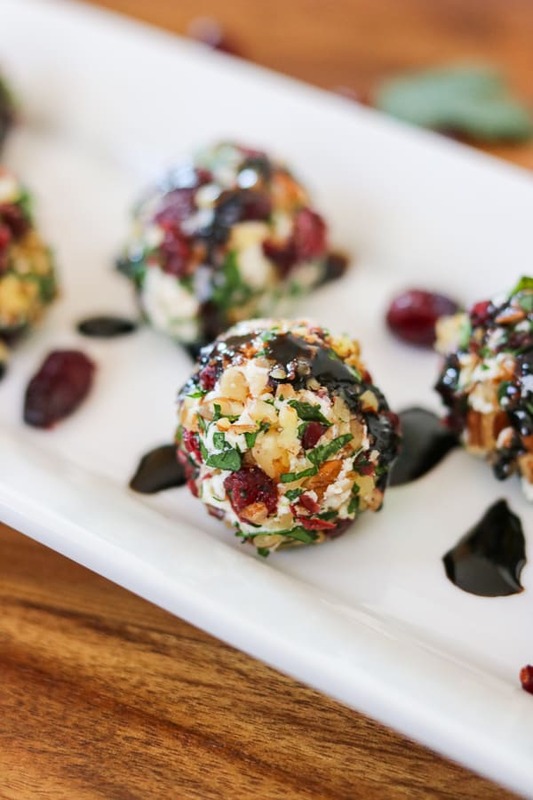 Everyone will love these Cranberry Pecan Goat Cheese Bites. They’ll be especially festive over the holidays with their red and green coloring. 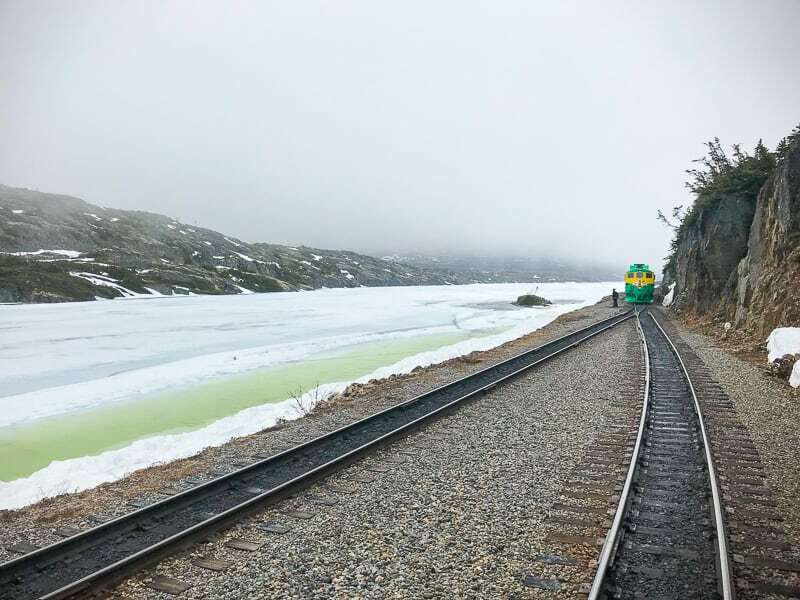 As I mentioned before, once we crossed into Canada and couldn’t go any farther, the engine in front of us was disconnected and was moved to the other end of the train. Our car then became the caboose! It was fun not having anything behind us on the way down so we could have a clear view of the scenery. In the picture below, you can see the engine after it was disconnected. I mean, look at this view!! It was wonderful, too to have the deck just outside with a bench on each side. Even though it was a bit windy and chilly it was great to go out there and enjoy the fresh mountain air and take in all the beauty that was surrounding us. I can’t recommend putting an Alaska Cruise with Princess Cruises on your bucket list enough. Hey, there are still plenty of dates this summer to get away from this heat. It’s a trip you’ll never forget and will leave you with memories to last you a lifetime! Discover the untamed beauty of Alaska with Princess Cruises. Free premium beverage package for two when booking a balcony or above. Available on select sailings Summer 2019 to Spring 2020. 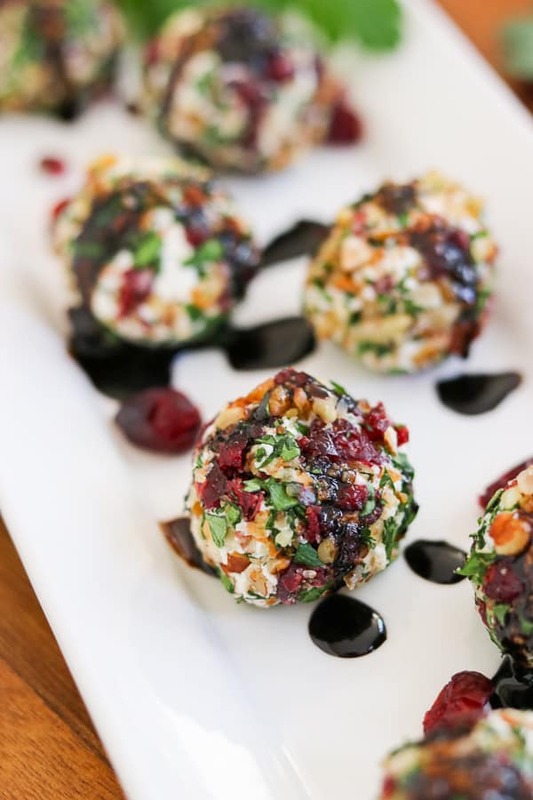 Looking for more appetizers to serve with these Cranberry Pecan Goat Cheese Bites at your next get together? Try these!